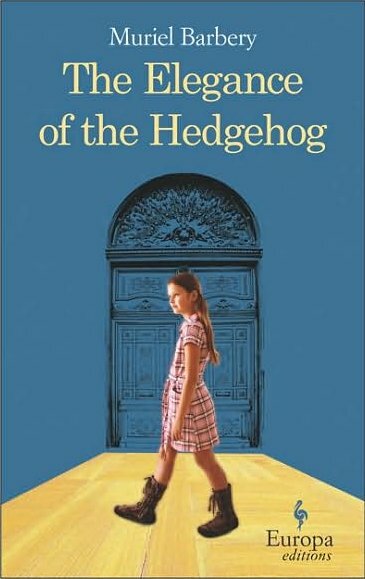 NorthShore Reviews: Books, Movies, Music, Stores: Spiky Subtleties make for Brilliance of "Hedgehog"
Spiky Subtleties make for Brilliance of "Hedgehog"
A 12 year old girl, a hotel concierge, and a mysterious Japanese widower, all with one thing in common: their extraordinary minds. The Elegance of the Hedgehog is the story of 54 year old concierge and self-described “toad”, Renee Michel, and the people whom she allows to discover the genius behind her front of deepest banality. A woman raised in utter poverty who received little special attention besides, Renee decided early on that her above average IQ and below average position on the social hierarchy could not exist harmoniously (at least not so long as both were acknowledged by the outside world). 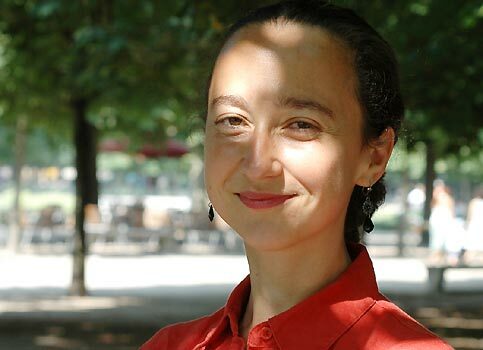 And so she created her own: the concierge of an upscale hotel in Paris, Renee has convinced her workplace’s wealthy inhabitants that she is dull by all accounts, capable of offering only the most generic responses (or muffled grunts) in response to the few attempts at conversation she must entertain. Her own living quarters, however, paint a different portrait. Full of books on German ideology, still life paintings (an especial obsession), and the Russian literature that she loves so much, Renee inhabits two spheres: one in which she plays the role that the disinterested masses assume she fulfills, and one enriching her hungry mind with mankind’s higher pursuits. A lonely existence to say the least. Until.. Enter: Paloma. A resident of one of the hotel’s higher floors, Paloma is fiercely intelligent, pitifully bored, and painfully distant from her well heeled parents and pseudo-philosopher elder sister. Twelve year old Paloma decides (as clear minded and calmly as though she were choosing between gel pen colors) to end her life, though not before burning down her apartment at a time when she’s sure no one will get hurt. In an effort to create something of substance during her last weeks on the planet, she begins two projects: a series of pensive entries called “Profound Thoughts”, and “Journal of the Moving World”, a more general commentary on the day to day mishmash that further drains her young soul of hope in the universe. Between her musings on the power of art to grant meaning, the symphonic perfection of correct grammar, and the disgust she experiences at the recounting of her mother’s overpriced visits to a vapid therapist, Paloma starts to wonder if there isn’t something a little different about the concierge. When a handsome and polite newcomer, Mr. Ozu, moves into the building, Paloma finds not only a new friend, but a fellow suspect of the brilliance that lies beneath the grunting woman who operates the elevator. 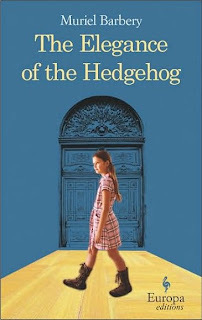 The Elegance of the Hedgehog is a story of such hope and rebirth that it could be mistaken for a romantic comedy were it not for author Muriel Barbery’s smart, thoughtful, and enlightening execution. The appeal of the story itself is rivaled only by the genuinely hilarious and truly provoking bits of thought, wisdom, and faith, that are bestowed by her characters. A book that could have easily lapsed into pretension manages to retain compassion and depth throughout. Despite its theme of a generally misinformed population, it seems everyone got it right placing this one on the Bestseller list. Glad to see you are keeping up with your blog entries!